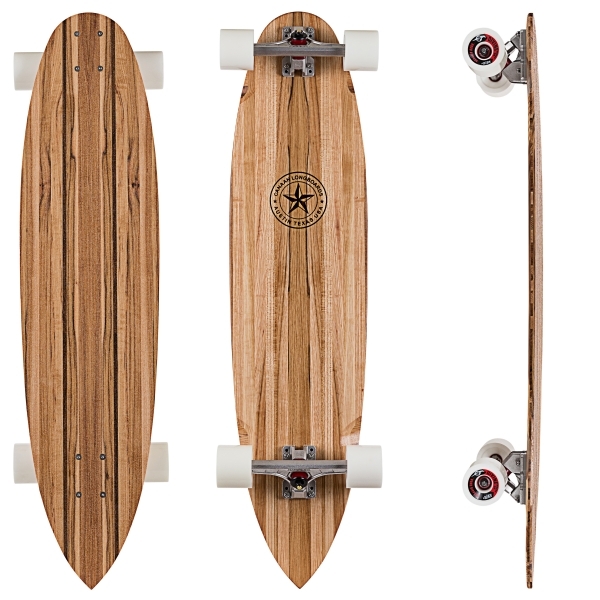 The San Marcos Custom is one of the most rock solid freeride longboards on the street. A .2" rocker combined with a .3" concave provides a perfect deck surface for both locking into slides and quick mobility for time critical footing adjustments. The San Marcos is built with a top layer of Hard Maple, two distinctive White Oak runners and three Canarywood accent stringers. 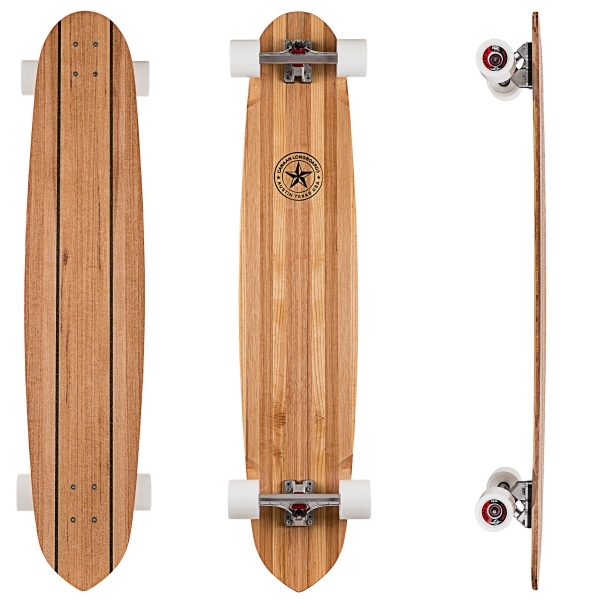 A vertically engineered, solid hickory core and book matched bottom layer gives this longboard unsurpassed strength, handling and beauty. 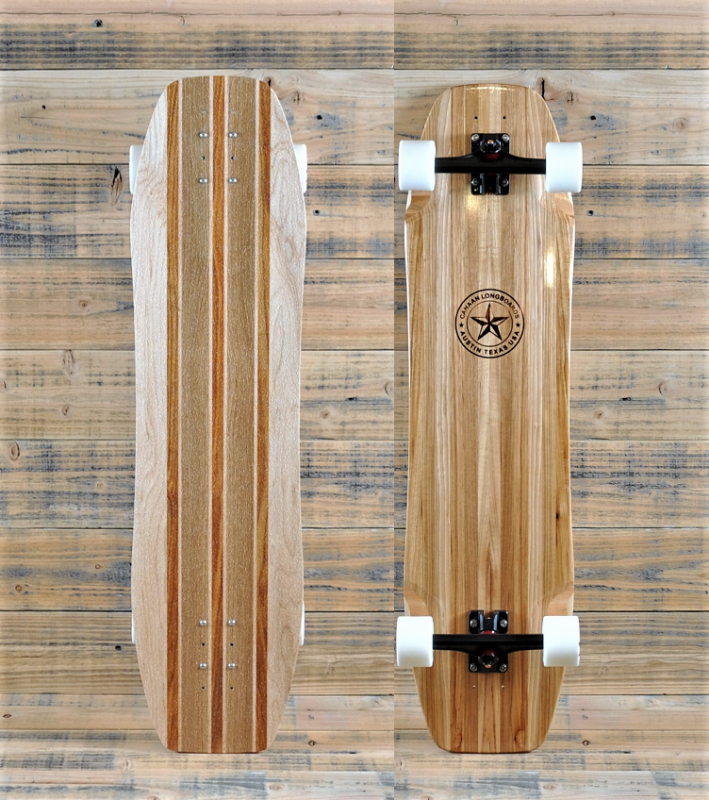 Finally the San Marcos Custom Longboard is hand branded with the Canaan Longboards logo, finished with a botanical based bio-resin and embedded with a clear, recycled grip. 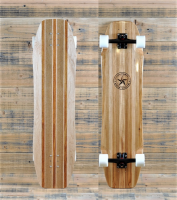 Due to the unique grain configuration, colors and naturally occurring characteristics in all hardwoods, no two San Marcos Custom Longboards will ever be alike. 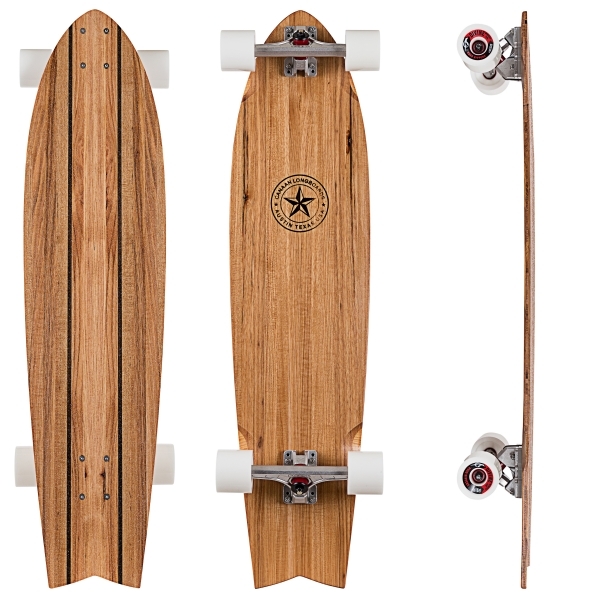 The images shown are only a few examples of the San Marcos Custom Longboard. A Freeride Monster. Stand by for the ride of your life. The San Marcos Custom Longboard was build for slides and speed. Feel what its like to have to deck go exactly where you want, exactly when you want. This Custom Series, Freeride deck is not for the faint at heart or inexperienced rider. Ride with complete performance and control. The minimal, three-layer construction of this handcrafted longboard reduces glue lines creating a solid and responsive ride. The solid hickory bottom layer is a book matched, vertically engineered layout making for a longboard that looks as good as it performs. 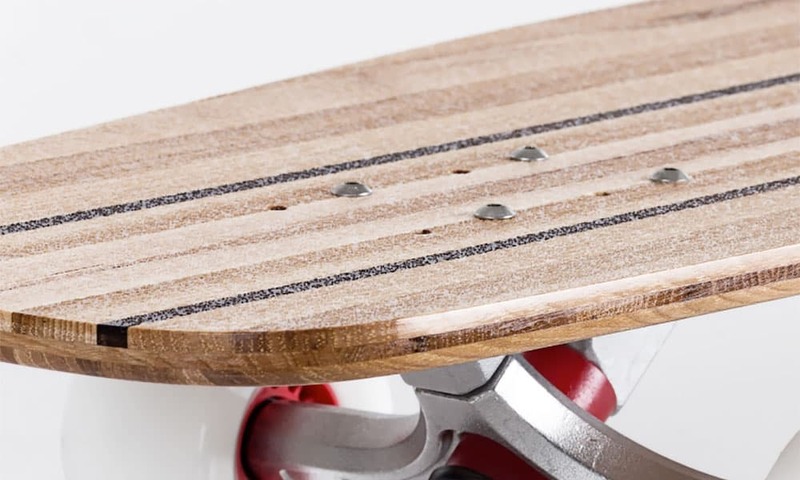 We finish our longboards with a bio-resin sealer and an environmentally friendly, clear recycled grip system that holds strong for shredding it up or just cruising the streets. Scotty Canaan spent 25 years in Coronado, California serving in the U.S. Navy SEAL Teams. Living on the Southern California coast line, the surf zone and weekend longboarding was an obvious pastime for him. 20 years into his career, Scotty started building custom longboards for the guys at SEAL Team ONE and SEAL Team FIVE. Every time he built a deck, he tried to get it little better based on feedback from the riders; more flex, better grip, stronger core. Scotty had successes and failures. Then he started contacting his brother, Daron for advice on making a better deck. 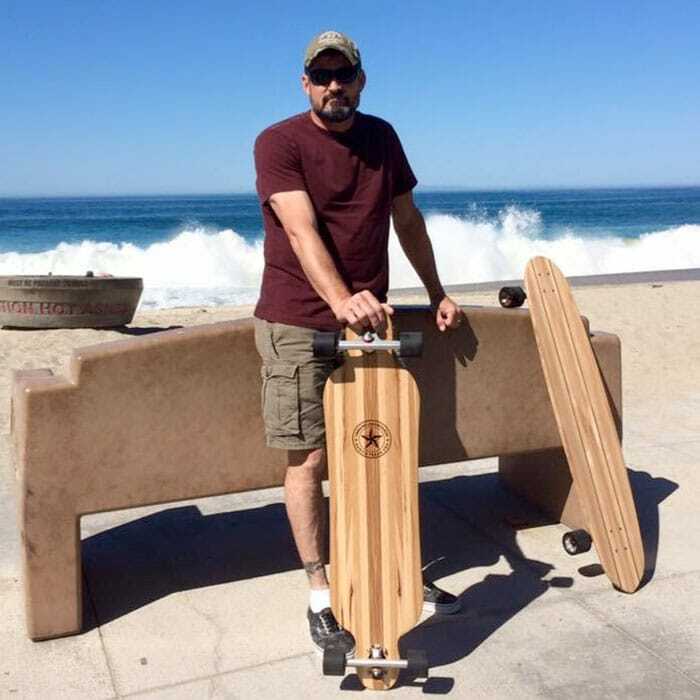 Daron, a long time master wood worker, custom guitar builder and commercial construction professional, quickly turned Scotty onto right path of longboard construction. With expert advice from Daron, he was building about two custom longboards a week for the SEAL Team guys. 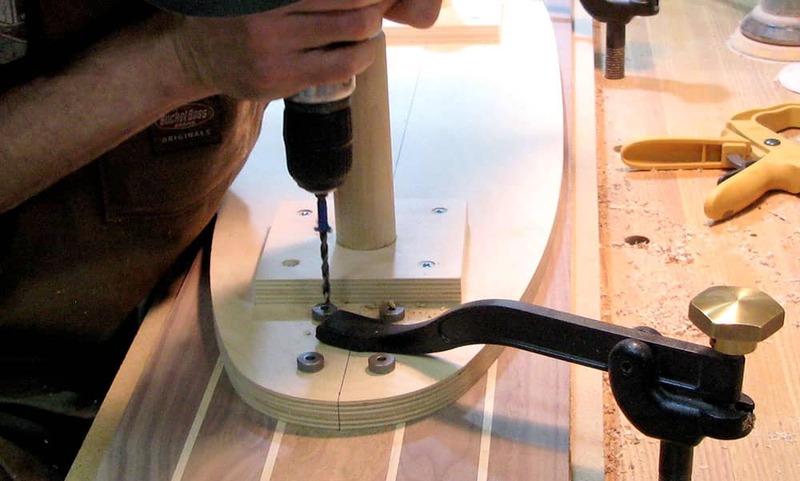 Daron then started building innovative longboard concepts and developing jigs and fixtures for quality control longboard construction processes. In 2013, Scotty started preparing for retirement from the SEAL community. It just so happened that Daron was looking to retire as well. The two brothers instantly knew what they had to do. In 2015, Scotty moved back to his home state of Texas and Canaan Longboards was born. American Hickory. Hickory is the hardest and most shock resistant commercially available hardwood in United States of America. It's also one of the most difficult woods to cut, shape, sand and finish. 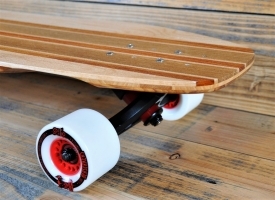 So why the hell would we want to build a longboard with it? The ride! 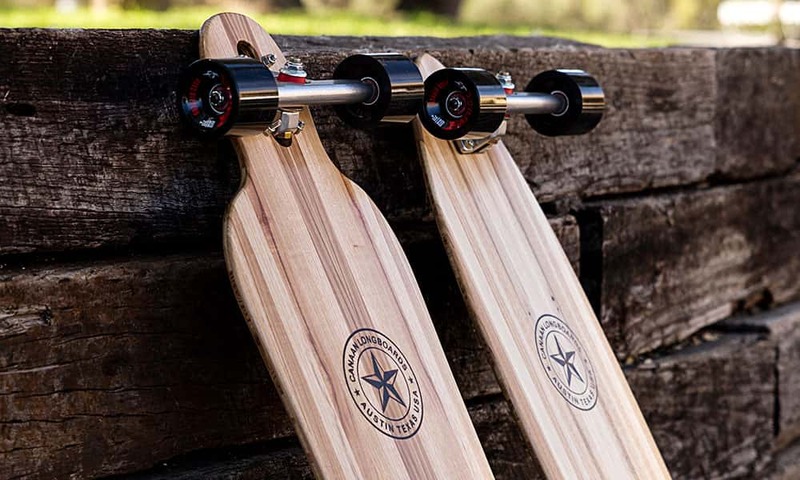 Hickory's ability to absorb and transfer shock better than industry standard materials like Hard Maple, Bamboo, or Birch makes it the perfect longboard building material. Extreme density and interlocking grain gives hickory a higher crush strength and overall hardness rating than any other commercially available North American hardwood. Higher resistance to physical damage. The deck's resistance to breakage under stress or load. This enables us to build an equally stiff yet thinner longboard deck. This measure of strength along the grain come into play as we vertically orient the grain to make optimal use of this high crush strength against rider weight and stresses. 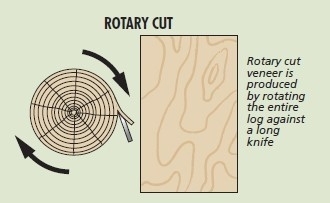 Slow growing hardwood trees produce a high number of growth rings creating the individual grains within the wood. These grains directly contribute to the wood’s strength, ability to carry a load and transfer energy. The density, hardness, and orientation of the wood grains greatly affect performance in resisting shock, crush, bending and shear strength. The more grains perpendicular to the direction of stress, or energy, the better the wood will perform. Conversely, wood cut with less grains in relation to the stress load will result in a weaker overall performance. 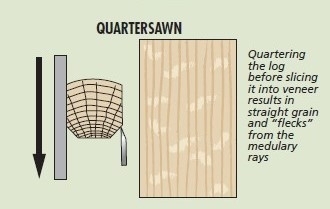 Laminating multiple pieces of quarter sawn hardwood creates a solid and stable longboard panel with grain orientation facing rider load which optimizes deck performance. Engineered panel construction minimizes horizontal glue lines, reducing board sag and the chance of delamination. Locally sourced, rough hardwood lumber panels are milled, laminated and cut by hand to ensure the highest quality control. A cross-grain or X-core of vertically engineered solid wood provides unsurpassed deck strength, stability and energy rebound. The greenest longboard building process producing a lower carbon foot print than veneer ply or bamboo deck manufacturing. No more replacing ugly worn out grip tape. 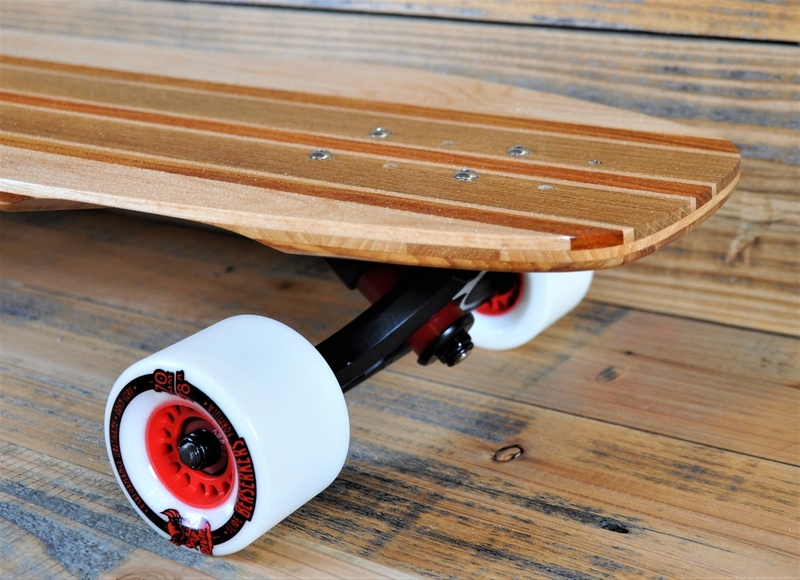 The Canaan Longboards grip system is like no other. Our recycled clear grip is embedded in an incredibly hard, botanical based resin giving your longboard a super durable, candy-dipped like grip. By adjusting the size of the grip particles, we can fine tune your grip to perfectly match your deck design: more aggressive grip for a serious locked-in downhill run; a moderately aggressive grip for both foot mobility and stability during slides and dancing; and a milder grip for a relaxing ride on one of our classic cruising boards. 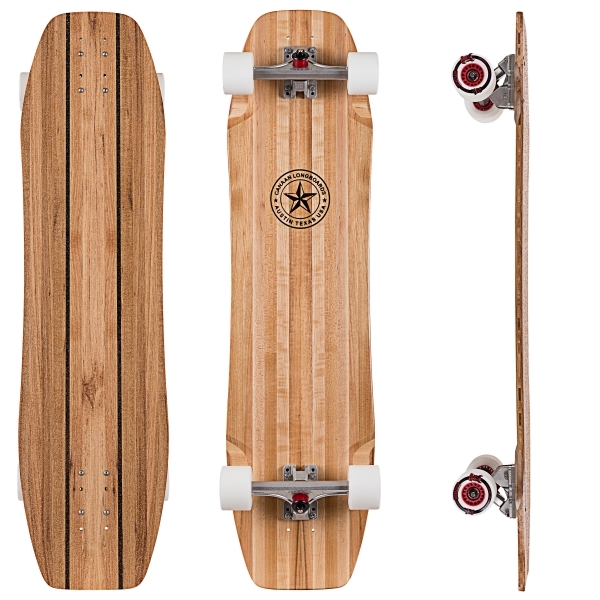 It just didn't seem right to spend all that effort handcrafting America's finest longboard and then simply spray an environmentally hazardous finish over it. So we looked to the fine boat and surfboard building industries for answers. It was there we discovered encasing the deck in a UV stabilized bio-resin, which produces the most durable, beautiful and water resistant finish possible. Once you get your hands on a Canaan Longboard, you'll agree that the extra time and cost of this finish is well worth it.